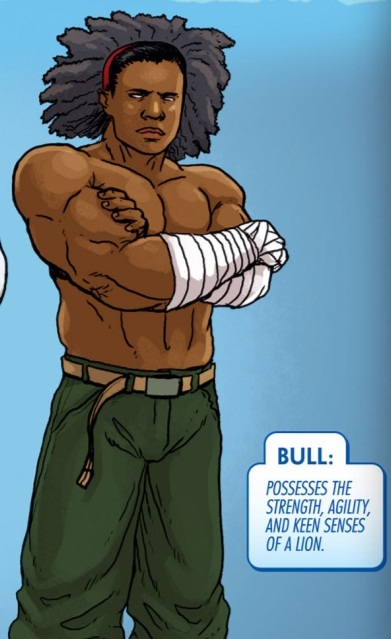 Bull is a member of the proud people of Wakanda. He has feral abilities akin to a lion. Under the reigning queen Shuri of Wakanda he joined the Wakandan School for Alternate Studies after the events of Doomwar and AVX. He has the abilities of a Lion but he goes by bull?! ?